Wow – twice in less than a week. I mean, what in the world is up with this craziness? I don’t know, I can’t really answer that. I like writing about food though, that definitely interests me, so I’ve got two more recipes that I tried this past week…so let’s get on with that! 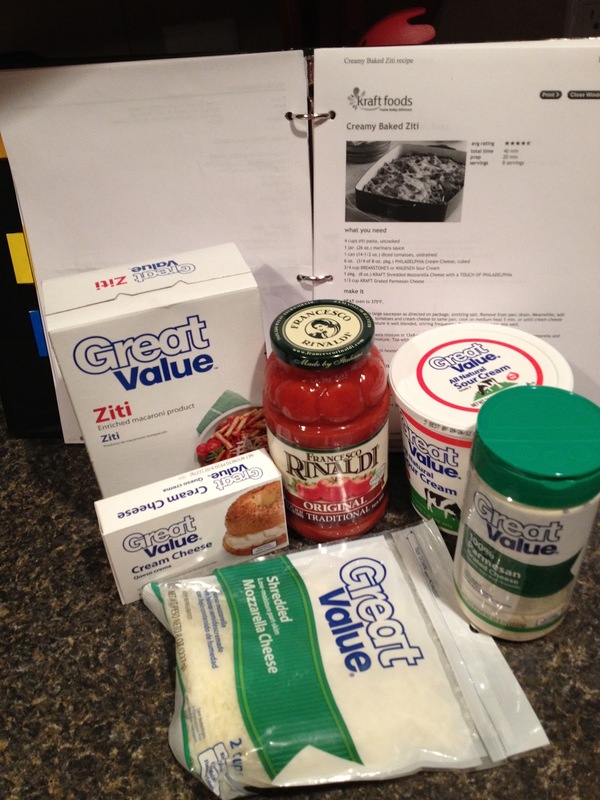 Cook your Ziti according to the package directions & strain. Preheat the oven to 350. 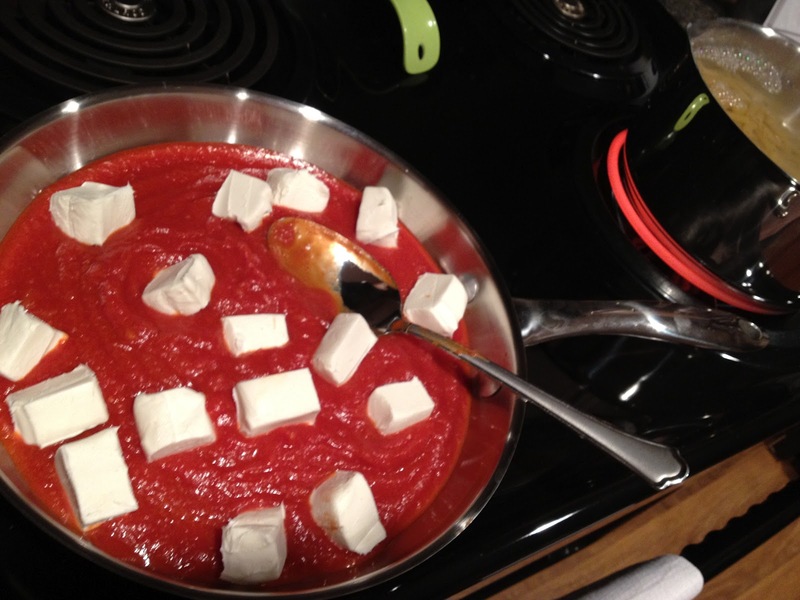 In a saucepan, you heat the marinara sauce & mix in the cream cheese, cooking until it is smooth & creamy. 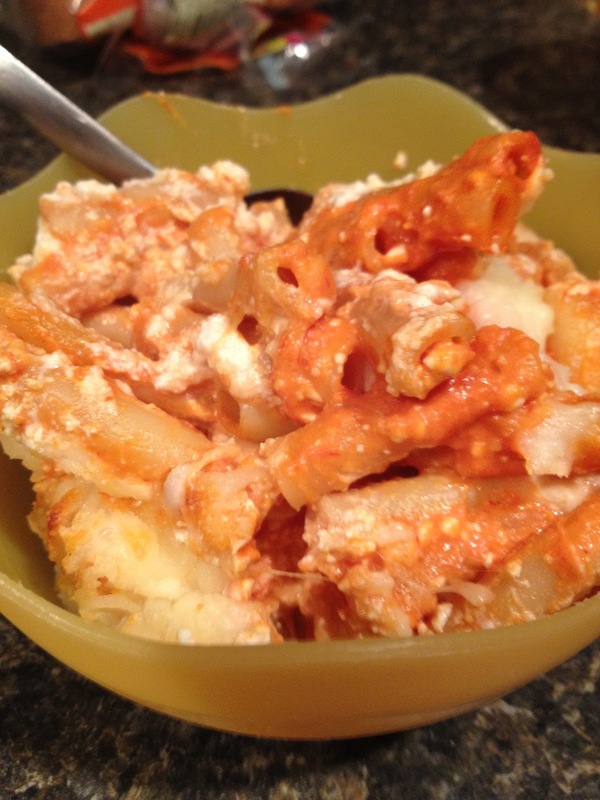 Mix the Ziti in with the marinara mixture. 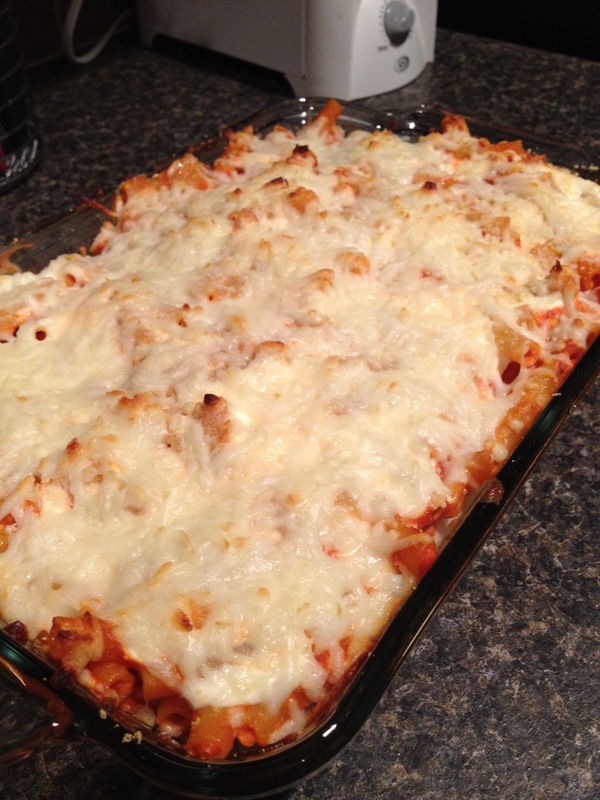 Put down a layer of the Ziti mixture into your pan, top this with a very light layer of sour cream. I went really light on this because I was really kind of thinking that sour cream with a pasta dish seemed a little strange, but I try not to veer off course too much when cooking. I spread a very thin layer of sour cream & then topped it with Parmesan cheese & mozzarella cheese. 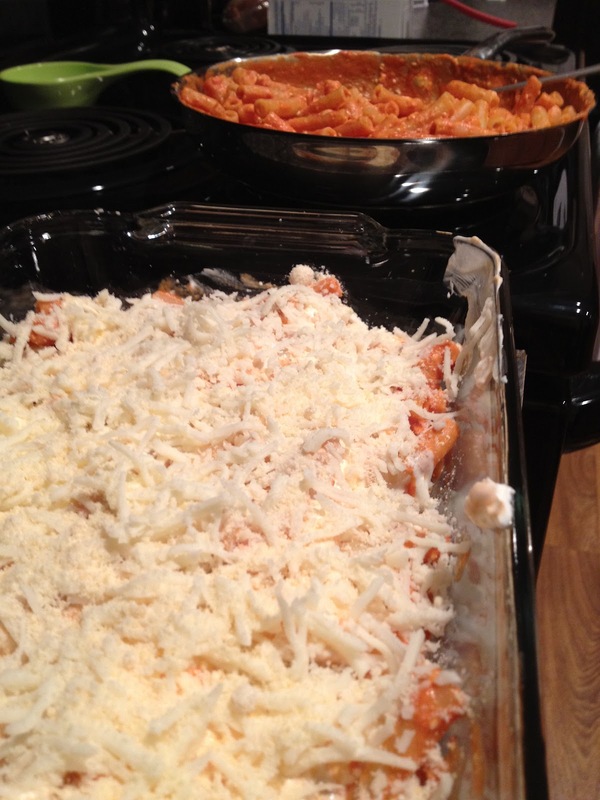 Layer the remainder of the noodle mixture into the dish & top again with sour cream, Parmesan & mozzarella. Bake at 350 for about 20-25 minutes & then enjoy! Just layering together my stuff…. 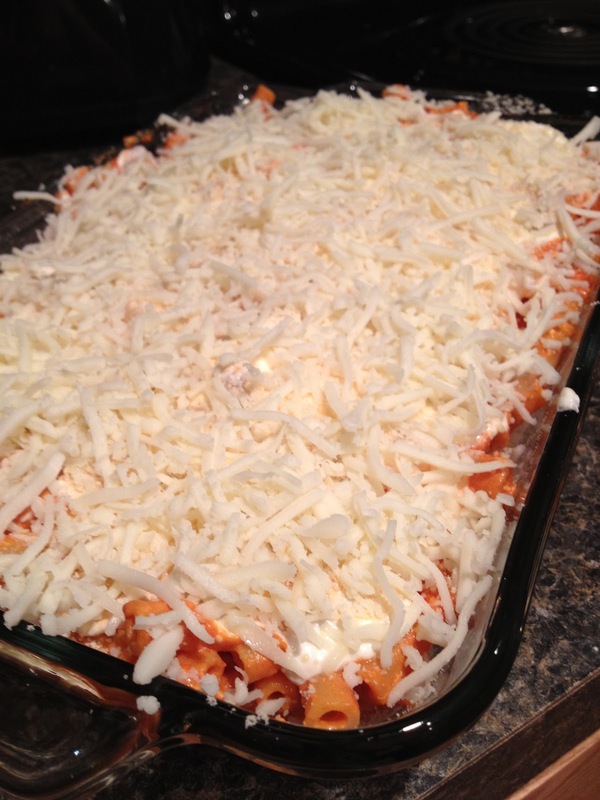 Ready to go in the oven…I can’t wait! Yeah, this was looking absolutely delicious & it smells amazing too. You pour your pretzels onto a roasting pan & preheat the oven to 300. 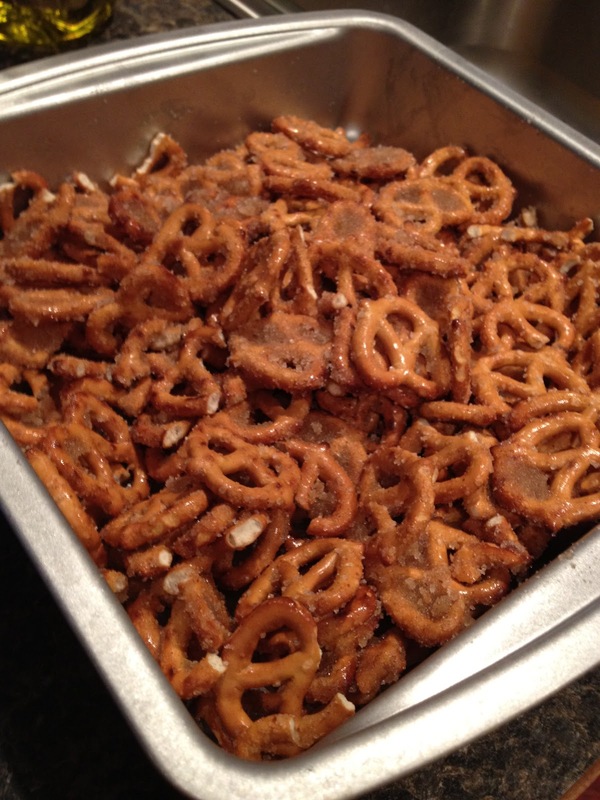 Mix together the sugar, cinnamon & oil & then toss it onto those pretzels. You stir it together to mix it all over the pretzels, making sure it evenly coats them. Lastly, cook them at 300 for 30 minutes, stirring every 10 minutes to make sure everything gets evenly coated. I seriously had to step away from the bowl that I put these in. They are addicting & I would have probably sat in the chair watching “Four Weddings” & eating these things all night…so I just had to step away. I have been battling a mouse – or more likely mice – for the past few weeks. They aren’t in my kitchen or bathroom; I keep finding them in the living room. I’ve killed 3, so I’m really getting worried. This seems to be a major problem for me here in this house & I’m eager to find a solution. I started my morning using the Swiffer to mop blood off my floor. It was all very much like a clandestine murder clean-up, only the victim weighed about a pound. After some investigation, my Mom & I discovered something called Fresh Cab online & after reading rave reviews, we ordered some. Supposedly you sit the bags of Fresh Cab out in your home & the smell (which humans can’t smell) will repel the mice from ever coming into your house. I am hoping & praying this is the truth…because I am getting tired of writing about killing mice on my blog. So, until next time…I’m about to go get some sleep, just in case I have to clean up another murder scene tomorrow morning. ← Football Anticipation & Food Review…..